The northern lights can sometimes be so beautiful that you almost cannot believe what you see before your eyes. When the green light, which is sometimes tinged with purple and blue, paints the sky above in the most amazing shapes, it appears that the most clever lighting architects could have directed them. But, then it is only nature that is on the move with one of its many fascinating features. For some, the most fascinating. If you are lucky enough to experience the northern lights, it is important to have your camera at hand. Sometimes the colour display lasts for a short while, while other times it can last for several hours in infinite forms and strengths. Nevertheless, it is a very specific spectacle, which has a scientific explanation, which is best enjoyed in the moment, preferably in a dark place, without any disturbing lights and sounds. 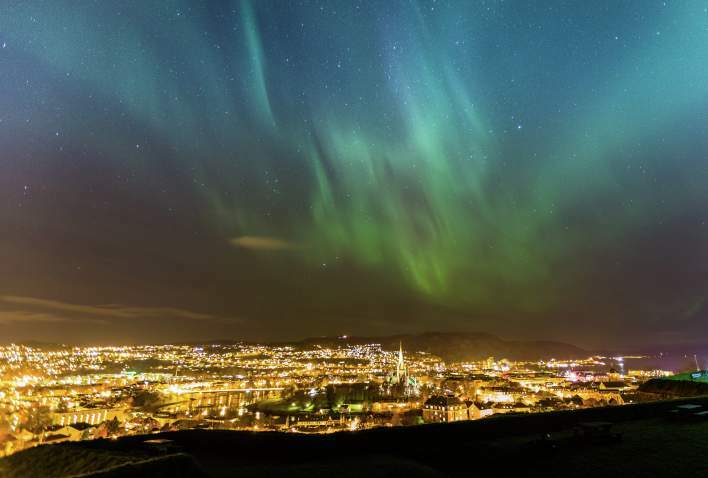 In recent years, the northern lights have been extra strong over Trøndelag. From October to April, both local photographers and visitors have had wonderful conditions for taking spectacular photographs of the northern lights. 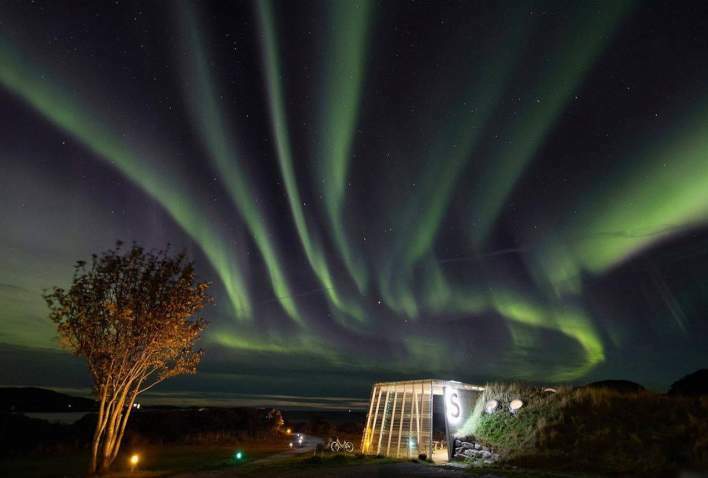 Several of the summits in Bymarka and several of the coves along the fjord north of Trondheim, have become popular destinations among the photographers when they embark on the search for the northern lights.